AND I want to tell you about Smoky Mountain Heartsong.com. My hope is that through the pages of this website, you’ll feel the same awesome power of God I feel every time I see those majestic mountains. I hope you'll come to love these Highlands as much as I do. I've experienced God's power through His awesome creation and I want you to feel the greatness of strength as you learn more about Smoky Mountain Heartsong! Sure the Great Smoky Mountains are a great place to work and live, but these mountains are also one of the best places in the world to draw near to God! I've experienced God's power through His awesome creation, and I want you to feel the greatness of strength as you read through the pages and all about Smoky Mountain Heartsong! Keep your camera handy in case you see natural wildlife! Some folks have reported seeing bear! Others have observed deer, and any other creature that might just happen along. My personal favorites include roller coasters, Water parks, shopping, and live theater performances. Many of which perform gospel segments as part of their regular show. As you click through the pages of this website, you'll pick up tips on planning your vacation. You'll also be introduced to some of the best restaurants, hotels & cabins, and become familiar with the entertainment these mountains have to offer! Find information about the best shows, attractions, amusement parks and more. You'll also find discounts on tickets and hotel stays as you move through by clicking "Plan Your Smoky Mountain Vacation, or any of the discounts listed below the photo. 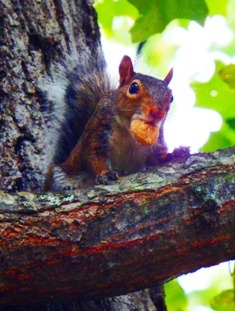 Eating….ah! Definitely a favorite pastime around here! 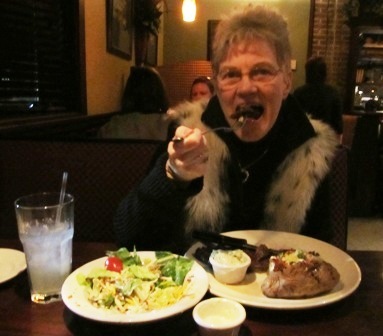 You’ll agree the restaurant selections are great! Choose from fine dining, dinner theaters, country cooking, and fast foods, just to name a few. One of the best jobs I've ever had was working with WDLY 105.5 Radio. For those of you who don’t know, it used to be “Dolly'Parton's station.” She took interest because it was here she first began her singing career. Back then, it was known as WSEV radio. 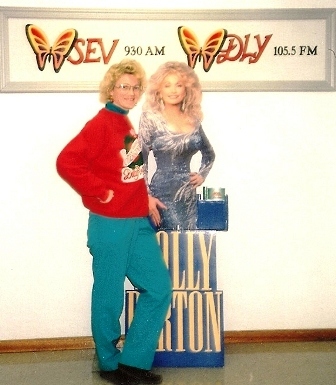 Dolly kept the station a few short years before it was sold again. It returned to its original call letters, WSEV Radio and that's how it's known today. WSEV has a sister station that's also famously known as 105.5 MIXX. The most important thing I want you to know about Smoky Mountain Heartsong is my desire for you to feel the spirit of God as you gaze upon the Smokies. Catch sight of the beauty of His creation. Feel the power of His strength. Draw closer to Him through His creation. Become the person God intended you to be! Another thing is that a few years ago, God impressed upon my heart to write. I pen Christian poetry and create my own greeting cards. I also write Christian Books. These along with my other writings are right here on this site. 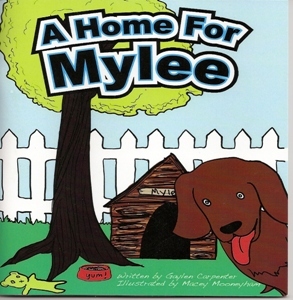 You'll find them by clicking the following link: "Christian Childrens Books." God's creation comes alive with every changing season! God’s handiwork presents itself through living creatures, wild and tame, gushing blue waterfalls, the glowing of fireflies, but mostly inside the hearts and lives of those who live around here. Well, that's enough about the site for now. I hope you're blessed, and find all the information you need to plan your dream vacation to the Great Smoky Mountains as you move through the pages of Smoky Mountain Heartsong.com!